The state officially listed a flame retardant used in furniture and baby products as carcinogenic. 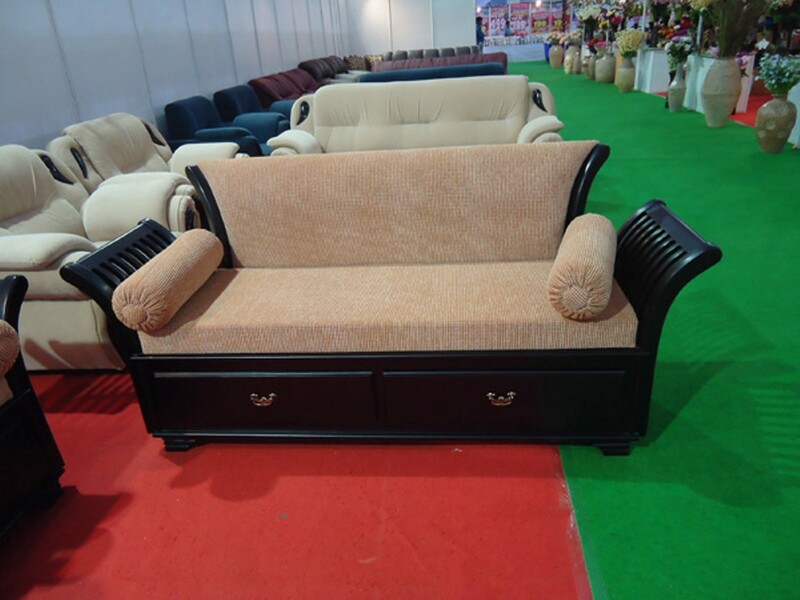 Furniture sold in the state is toxic. California Watch is a project of the nonprofit Center for Investigative Reporting in Berkeley. Contact the author at SRust@CaliforniaWatch.org. For more, visit CaliforniaWatch.org. In a victory for environmentalists, a flame retardant common in furniture and baby products was officially listed last week by the state as a cancer-causing chemical. Although the chemical, chlorinated Tris, was banned from children's pajamas in the 1970s, it recently experienced a resurgence in furniture foam. Today, it is the nation's most commonly used flame retardant in furniture and baby products. "The listing of chlorinated Tris on Prop 65 is a public health victory," said Sarah Janssen, senior scientist for the Natural Resources Defense Council. "Widespread exposure to this chemical, now officially identified as a cancer-causing chemical, is a threat to vulnerable populations. This listing should result in labeling requirements for products that contain dangerous levels of this chemical." The chemical was determined by the state's Office of Environmental Health Hazard Assessment to be harmful to human health and therefore subject to listing under Proposition 65. Prop 65, or the Safe Drinking Water and Toxic Enforcement Act, was enacted as a ballot initiative in 1986. It was designed to protect state residents and their drinking water from chemicals known to cause cancer, birth defects, or other reproductive harm. The initiative requires the governor to publish a list every year of chemicals known to cause cancer or reproductive toxicity. The state's Carcinogen Identification Committee voted 5-1 to list the chemical, which will require that manufacturers of items containing the chemical to notify consumers of its presence. "We thank the committee for its careful consideration of the evidence regarding the health effects of Tris," said Sam Delson, deputy director for external and legislative affairs for the environmental hazard office. "Now that the state's qualified experts have found that this chemical causes cancer and added it to the Proposition 65 list, a warning requirement will take effect in twelve months." The committee also voted on whether to list fluoride and found it not to be carcinogenic, with a 6-0 vote against listing that chemical. The American Chemistry Council, the trade group representing Tris makers, did not respond to a request for comment. Albemarle, the largest producer of chlorinated Tris, could not be reached for comment. Both the US Environmental Protection Agency and Consumer Product Safety Commission also have declared Tris to be carcinogenic. "Flame retardants like Tris leach out of furniture and end up in the dust in our homes," explained Arlene Blum, a visiting scholar at UC Berkeley and one of the scientists whose toxicology research in the 1970s got the chemical removed from kids' pajamas. "We unknowingly inhale and ingest Tris into our bodies," said Blum, who also leads the Green Science Policy Institute, an environmental group based in Berkeley. The chemical has been associated with cancer in factory workers and laboratory animals, as well as low sperm counts in men exposed to Tris in household dust. But manufacturers of the chemical have said there is not enough evidence showing the chemical causes cancer in people and argued against it being listed as a carcinogen under Proposition 65 requirements. "A chemical is known to the state to cause cancer or reproductive toxicity ... if in the opinion of the state's qualified experts it has been clearly shown through scientifically valid testing according to generally accepted principles to cause cancer or reproductive toxicity." The office received more than 670 comments, the vast majority in favor of putting the chemical on the list. Two comment submitters were opposed to listing it. They said evidence to support a connection between the chemical and human cancer was lacking. Blum said it is likely that furniture manufacturers will substitute Tris with other chemicals that may be equally, or more, dangerous. That's because California has the strictest flammability standards in the nation, and furniture sold in the state must adhere to the standard. To meet it, furniture manufacturers tend to use flame retardant chemicals. However, Blum said furniture and foam could be made without the chemicals and therefore "without the toxicity problem." In addition, while the chemicals may give you only a few more seconds before burning — they delay ignition — they'll also give you more toxicity. "The treated products burn after a few seconds," Blum explained. "It's the toxic gases from the chemicals that cause most fire deaths and injuries." The state's new environmental curriculum corrects plastic bag information that came from the chemical industry.